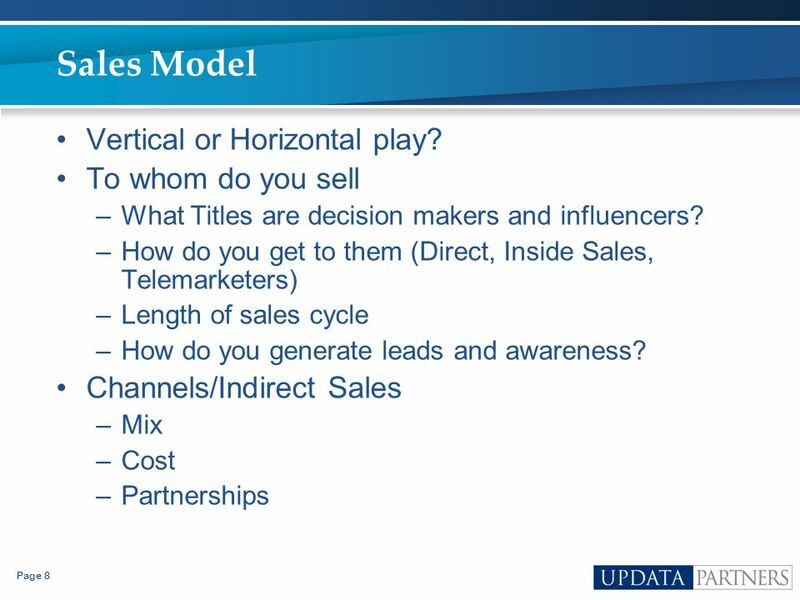 4 The Elevator Pitch What is value proposition for customers to buy your offering? 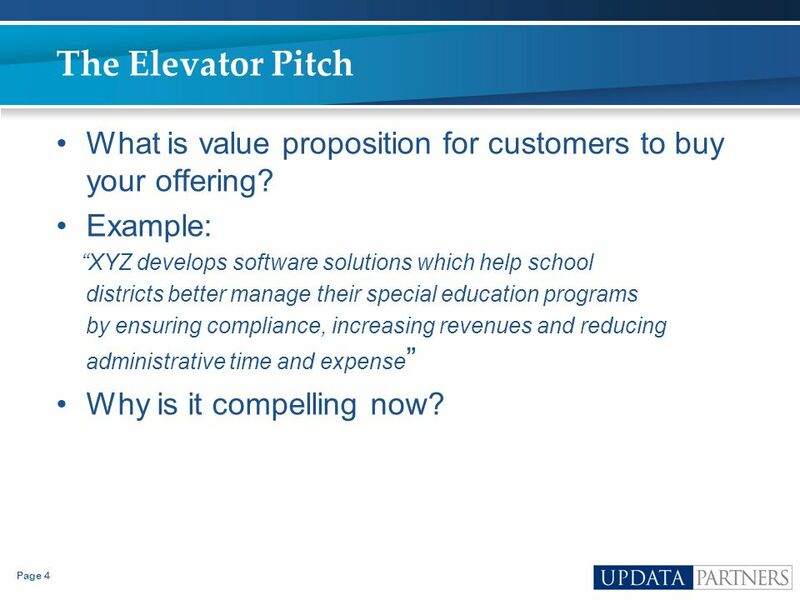 Example: “XYZ develops software solutions which help school districts better manage their special education programs by ensuring compliance, increasing revenues and reducing administrative time and expense” Why is it compelling now? Is this a high performance team? 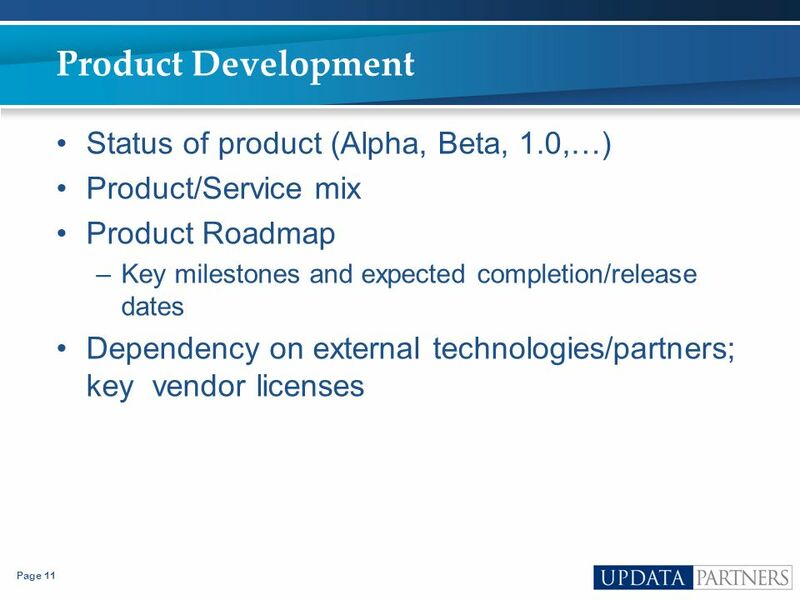 Articulate team members’ relevant experience Areas where the team needs additional help? 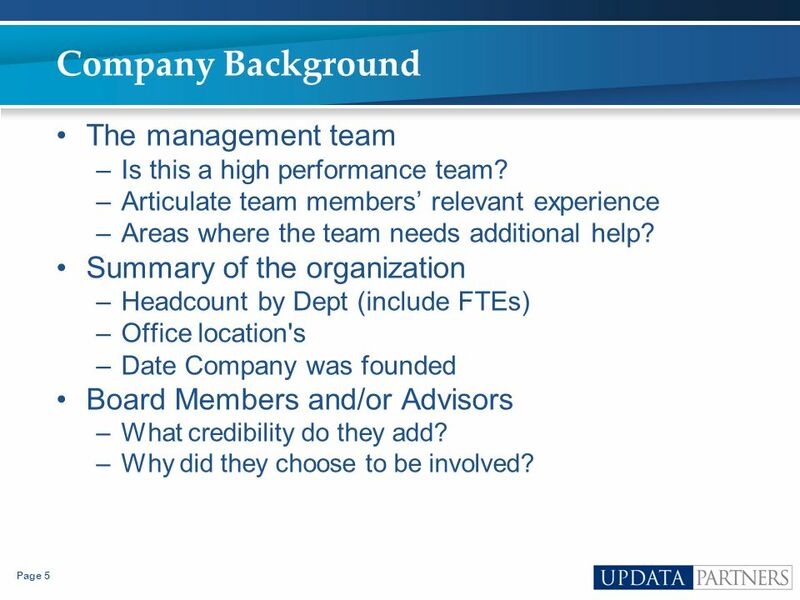 Summary of the organization Headcount by Dept (include FTEs) Office location's Date Company was founded Board Members and/or Advisors What credibility do they add? Why did they choose to be involved? Who are your competitors? Collaborators? 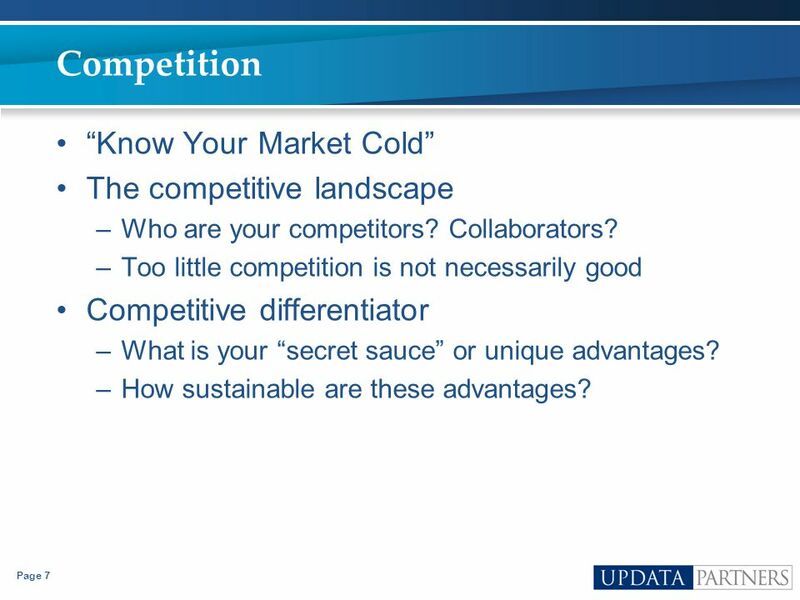 Too little competition is not necessarily good Competitive differentiator What is your “secret sauce” or unique advantages? How sustainable are these advantages? How does it work and what’s different? 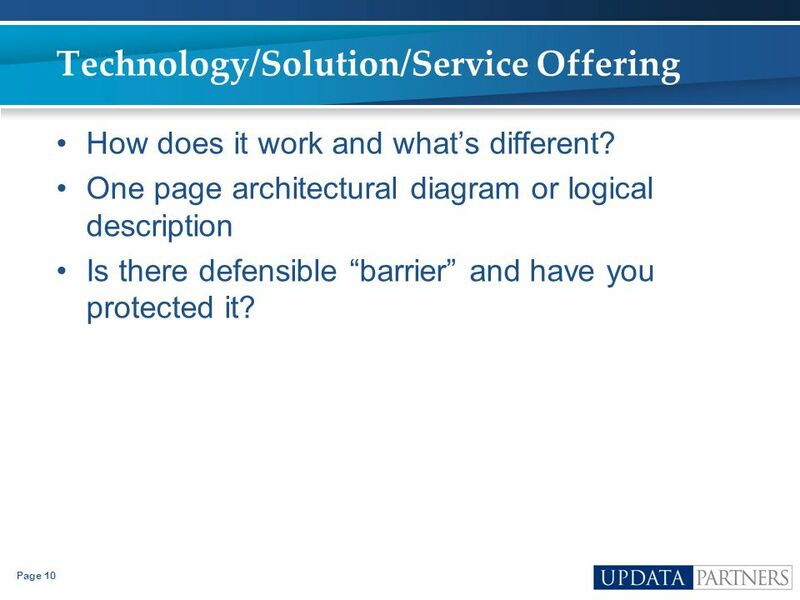 One page architectural diagram or logical description Is there defensible “barrier” and have you protected it? 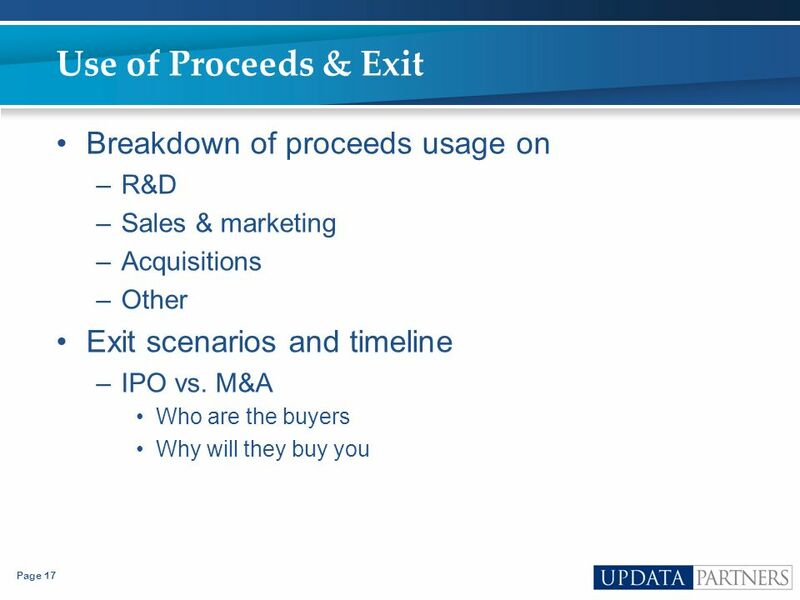 By placing the technology section further in the presentation, you are assured that the previous information gets discussed. Then, you have the luxury to spending the remaining time on this topic and not rushing through important business issues. 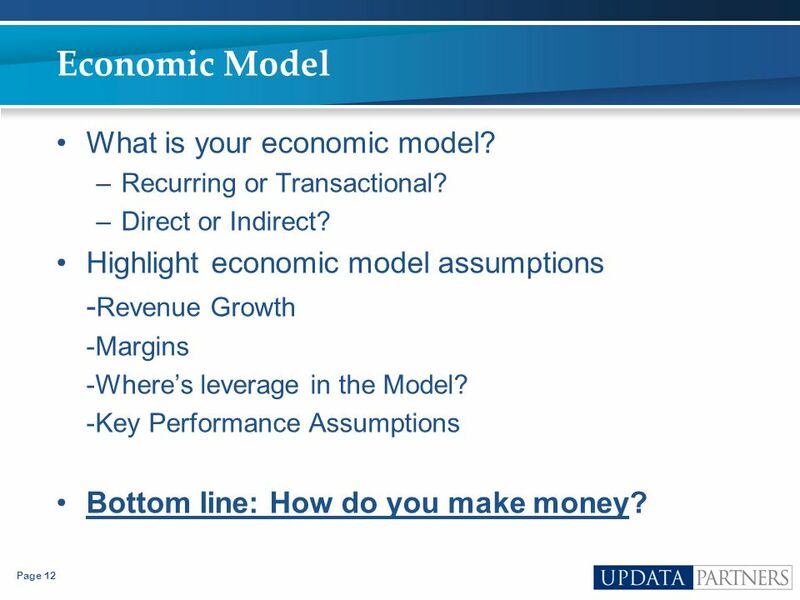 12 Economic Model What is your economic model? Recurring or Transactional? Direct or Indirect? 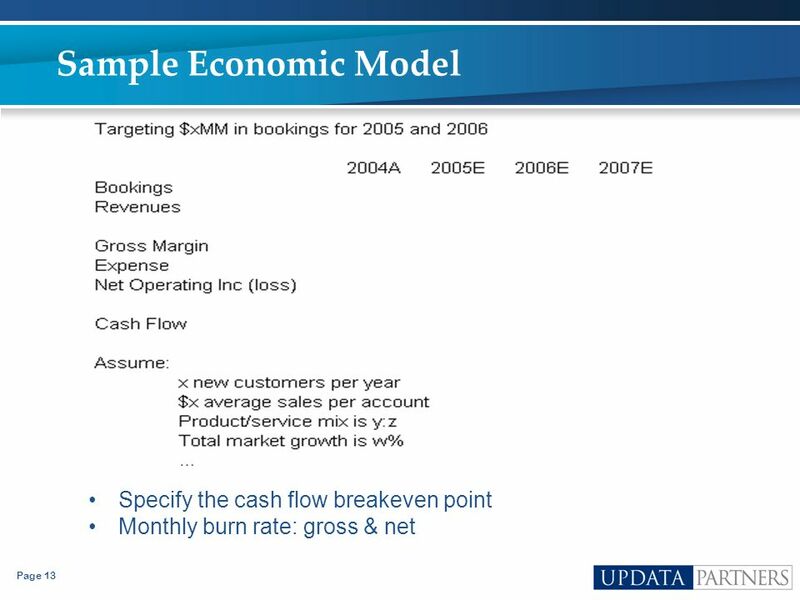 Highlight economic model assumptions -Revenue Growth -Margins -Where’s leverage in the Model? 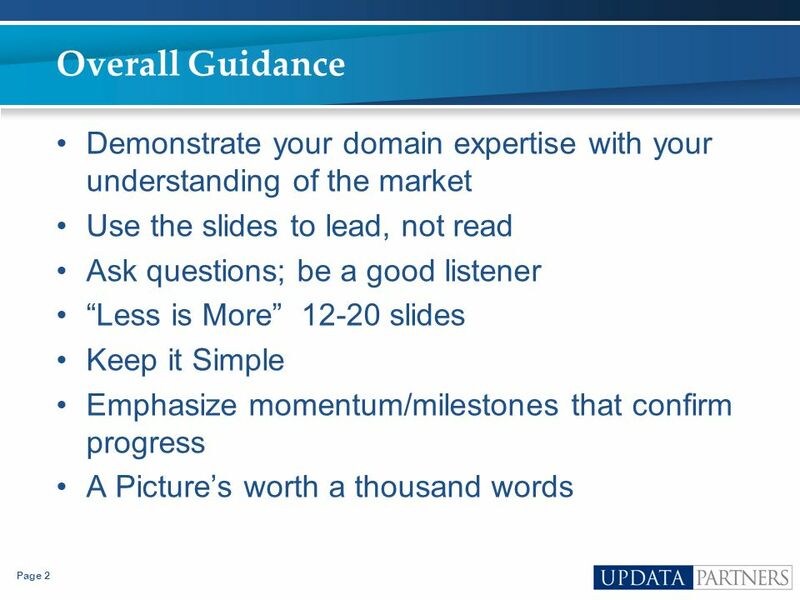 -Key Performance Assumptions Bottom line: How do you make money? 14 Risks What keeps you up at night? What’s the biggest risk of NOT raising money? 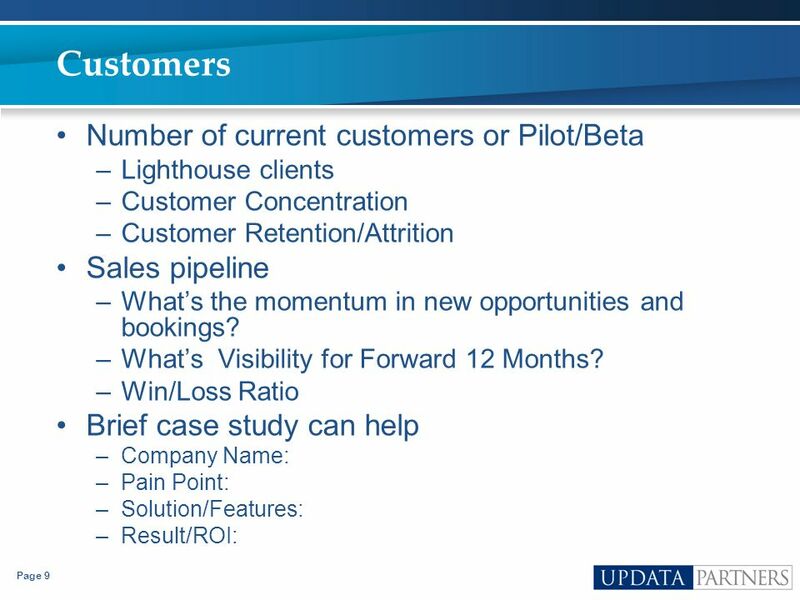 If the business doesn’t take off, what will be the reasons? 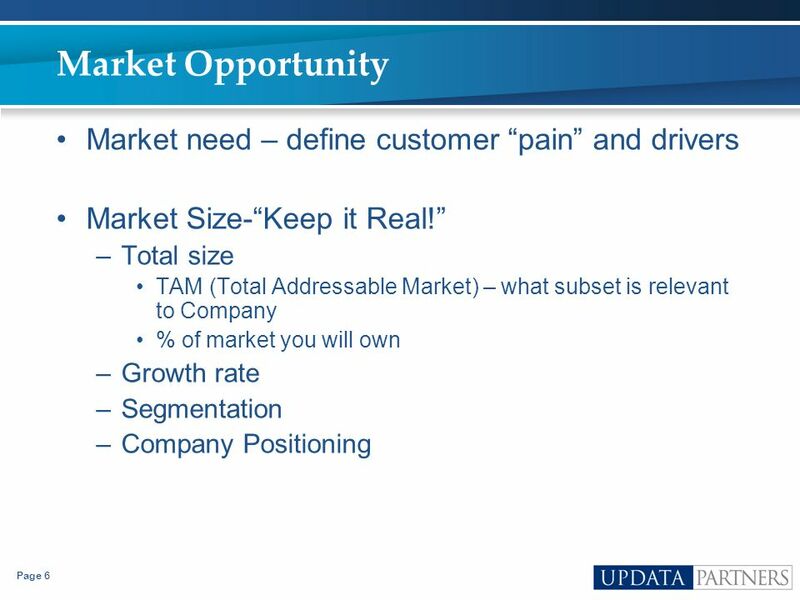 Who are the latent competitors, including customer “make” decisions (vs. buying your product) Who loses if you win? Be Honest! 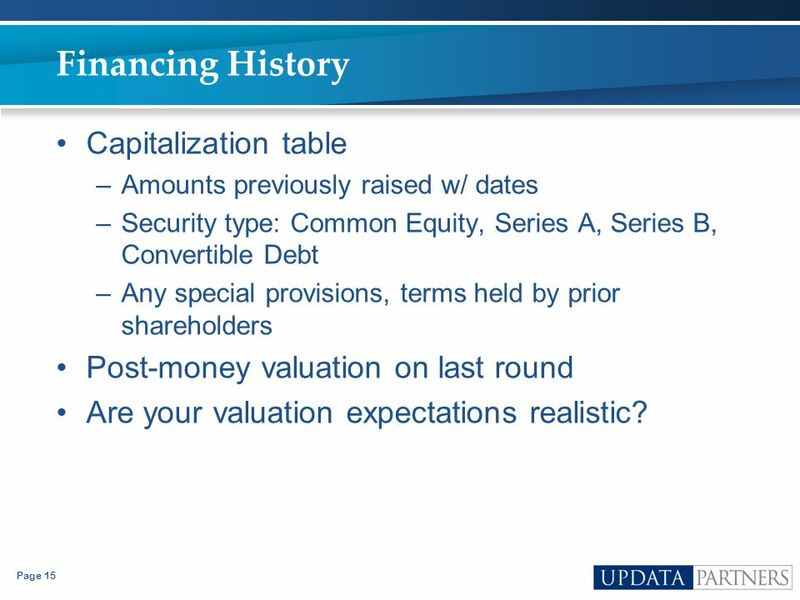 Amounts previously raised w/ dates Security type: Common Equity, Series A, Series B, Convertible Debt Any special provisions, terms held by prior shareholders Post-money valuation on last round Are your valuation expectations realistic? 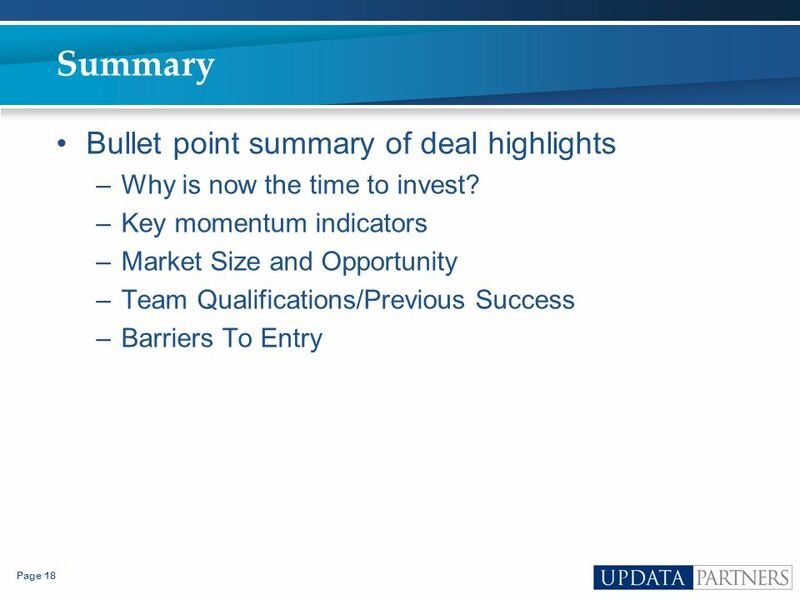 Amount already committed from prior investors or new lead How far does it get you? 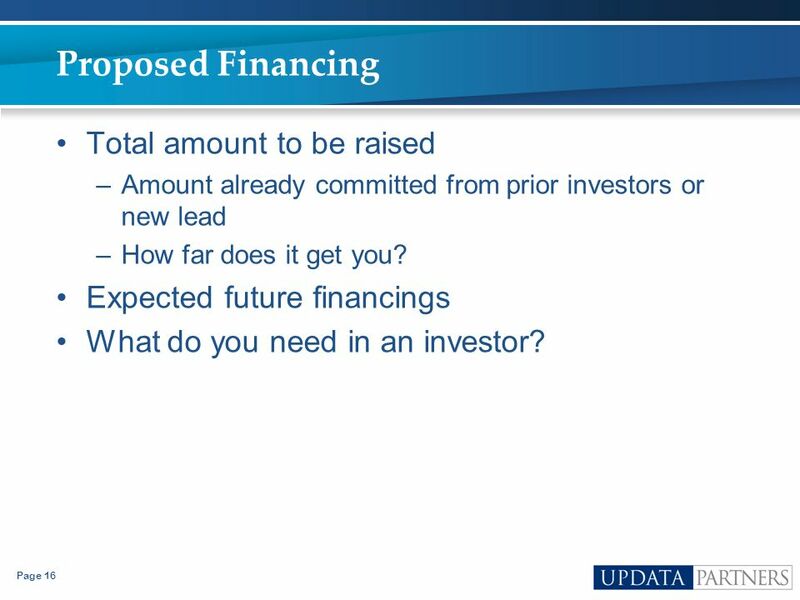 Expected future financings What do you need in an investor? 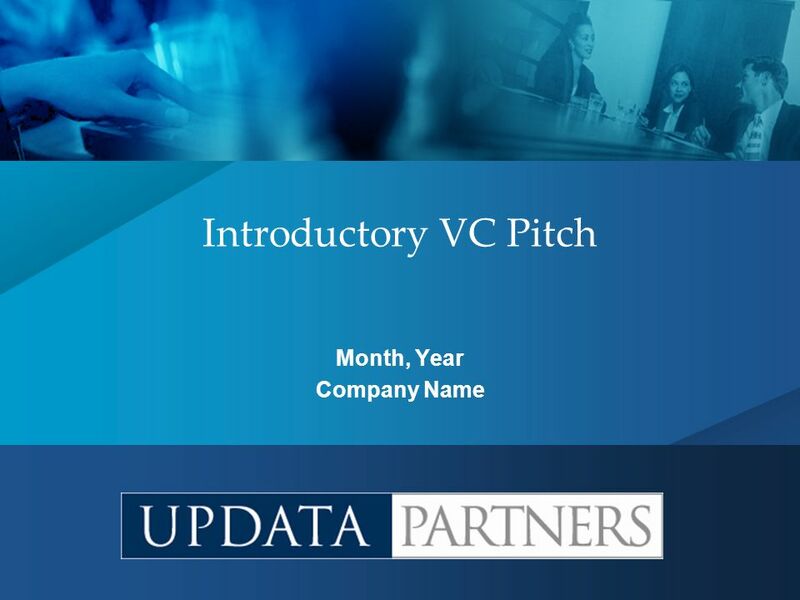 Download ppt "Month, Year Company Name"
Campus Guardian Corporation Strategies in winning the 2007 Business Plan Competition. 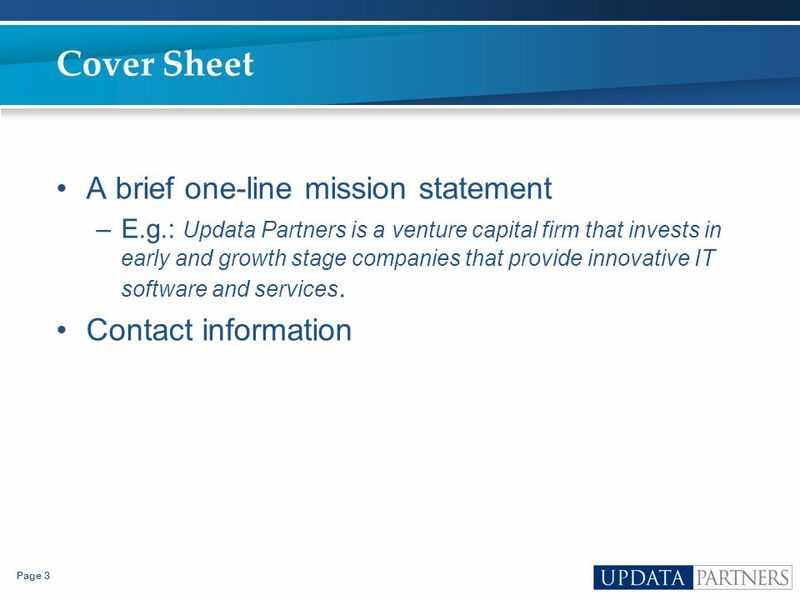  The Name of Your Company Short Mission and Purpose of Your Company Short introduction of yourself and your company.